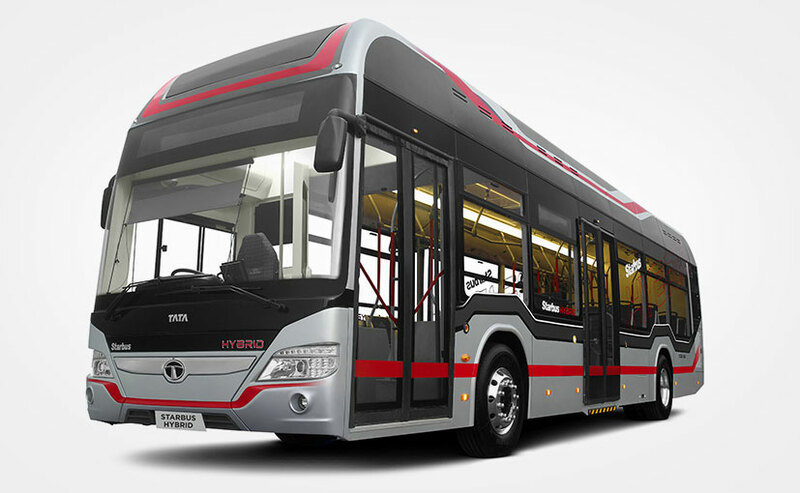 Tata Motors launched the future of mass public transportation at its Pune facility and took another step in the direction of green technology and mobility solutions. The company launched the Starbus Electric 9m, Starbus Electric 12m and the Starbus Hybrid 12m range of buses which are designed, developed, powered by alternate fuels and made in India. The company says will be a good for smart cities. The company also showcased the country's first Fuel Cell bus (12m), LNG Powered bus (12m), and an 18m Articulated bus. The Hydrogen Powered Starbus Fuel Cell bus is a zero-emission mass transport solution, for inter-city commute and has been developed in partnership with ISRO (Indian Space Research Organisation). Combining hydrogen gas and oxygen, the fuel cell produces electricity to power the electric motor, with water and heat as a byproduct. This is the first time an Indian manufacturer has ventured in this direction. 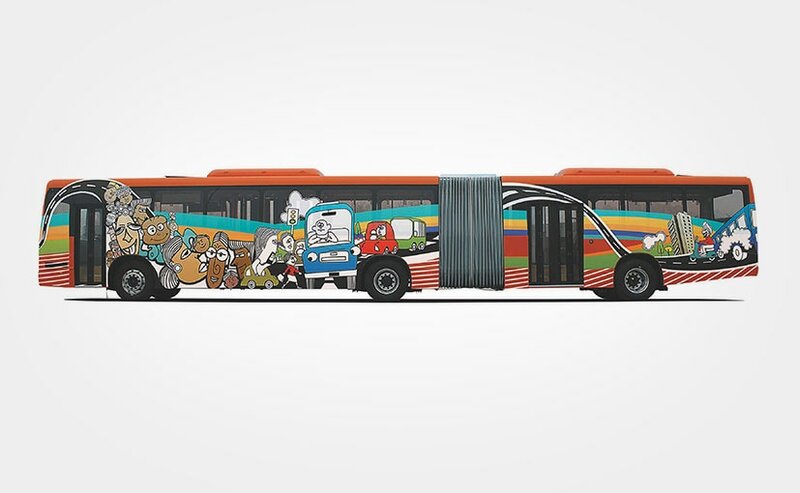 As far as Electric buses are concerned, Tata Motors finds a rival in the form of Ashok Leyland who recently revealed the Circuit series of all-electric buses which was in fact India's first of its kind. The company has already extensively tested the CNG hybrid buses across the country in cities like Mumbai, Ahmedabad and Surat and we first saw them in New Delhi during the 2010 Commonwealth games. 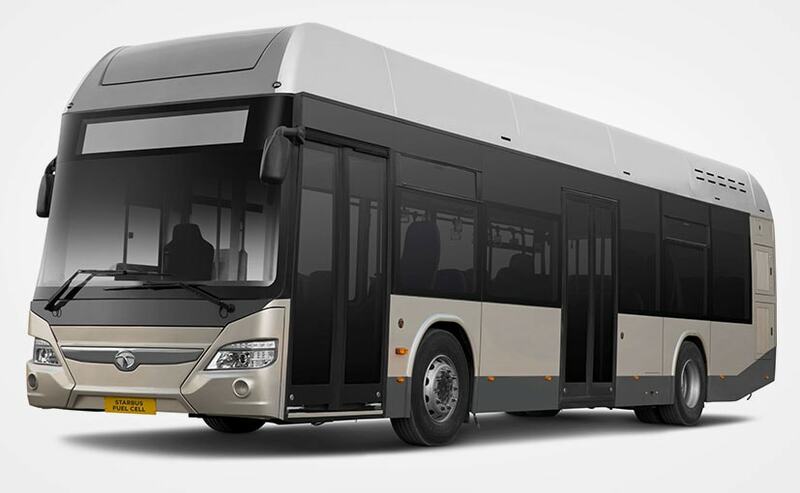 It was just last year that the company signed a contract for the single largest order for Hybrid Electric vehicle technology, with the Mumbai Metropolitan Region Development Authority (MMRDA), to supply 25 units of the Starbus Diesel Hybrid electric bus with Full Low floor configuration. These buses will be delivered in the first quarter of FY2017-18 and will connect Sion, Bandra & Kurla to Bandra Kurla Complex (BKC). Ravindra Pisharody, Executive Director - Commercial Vehicles, Tata Motors said, "We have consistently been developing and manufacturing products that can contribute to CO2 reductions across all road transport segments and with early investments in new technologies, we are geared up to further strengthen our market leadership. With our new range of Future ready buses, we will continue to play an active role in mass public transportation, with a commitment towards striking the right balance between sustainable growth and profitability."